Project Udaan, aimed at reducing teenage pregnancies is being implemented in selected districts of Rajasthan, supported by the Children’s Investment Fund Foundation (CIFF), UK. One of the interventions under the Project is to use a Human Centered Design (HCD) approach for designing solutions for improving sexual and reproductive health Knowledge, Attitude and Practices among adolescents. Human-centered design is a creative approach to problem solving. The interventions designed through this novel approach will be piloted in Dholpur district of Rajasthan. 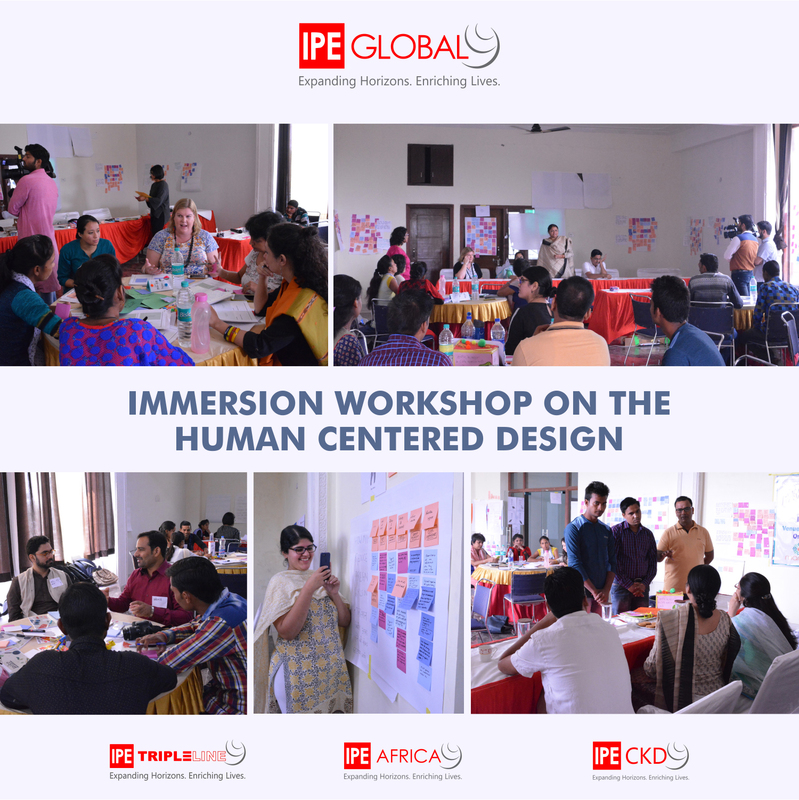 Thus, to understand the HCD process, a 4-day immersion workshop on the approach was conducted in Dholpur by IDEO.org (a US based design and innovation firm) from 31st to 3rd November 2017. Apart from the team members of the Udaan Project, representatives from CIFF and implementing partner organizations - The YP Foundation, Manjari Foundation, as well as, key officials from the State and district offices of the Health Dept., Govt. of Rajasthan implementing the adolescent health programme - Rashtriya Kishor Swastha Karyakram (RKSK), participated in the workshop. Adolescent boys and girls from selected villages of Dholpur participated in the workshop. These boys and girls will play an active role in planning, research and implementation phase of the project. The workshop was inaugurated by Dr. Rajesh Mittal, Chief Medical & Health Officer, District Dholpur. The workshop sessions were organized around learning about the background and context of HCD; understanding the inspiration, ideation & implementation phases of the approach which included framing the design challenge; deliberating and discussing on the tools & methods; interviewing techniques; discussing case studies; brainstorming to list out questions to be asked during the field research, prototyping. The participants were divided into 5 groups who worked as teams and conducted various activities. After a session on design research, the teams conducted a field visit to nearby villages to interact with the set of stakeholders allocated to each group, such as, adolescents, parents and service providers (RKSK Counsellors, ANM & ASHA Worker). Based on the field research, each group carried out a synthesis exercise and came out with ideas and solutions to create prototypes that could be tested for their feasibility and practicality in a real-world setting. Thereafter, the team overviewed the insights gained and conducted a rapid brainstorming on collecting all ideas. Based on clustering exercise, the teams built their prototypes to test and obtain feedback in the field. All field reflections and feedbacks were collected, and teams worked on refining the prototypes and presented the way forward in detail. Ms. Shuchi Tyagi, District Collector, Dholpur was present on the last day of the workshop. She interacted with the participants and learnt about the HCD and activities conducted. She witnessed the various prototypes developed during the workshop and understood the concept from the adolescent participants, facilitators and the participants. She said “Udaan project is following an innovative approach which involves adolescent boys and girls to design a programme”. She further added, “for the first time I have seen such creative and interesting models to address adolescent Sexual Reproductive Health issues and I am glad that this is being piloted in Dholpur.” She promised to extend her support to Udaan programme.